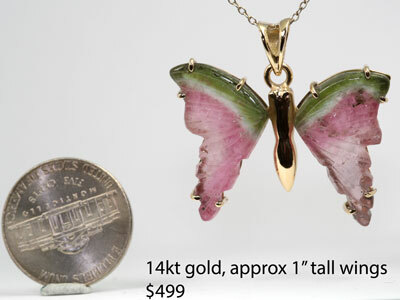 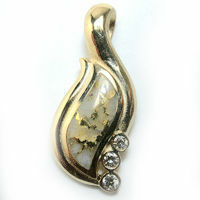 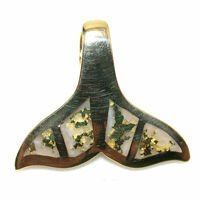 This is a great flowing pendant. 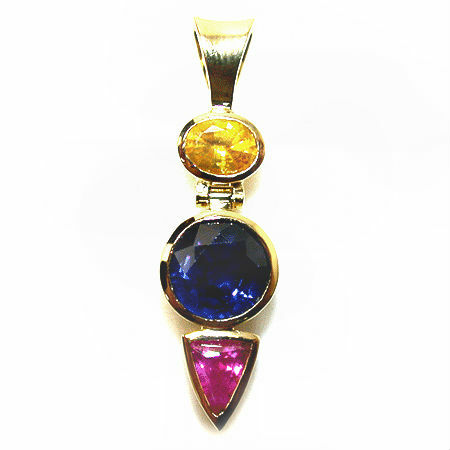 Gold Bearing Quartz and Diamond Free Form Pendant The inlay area of the Natural Gold Bearing Quartz resembles a free flowing “S”. 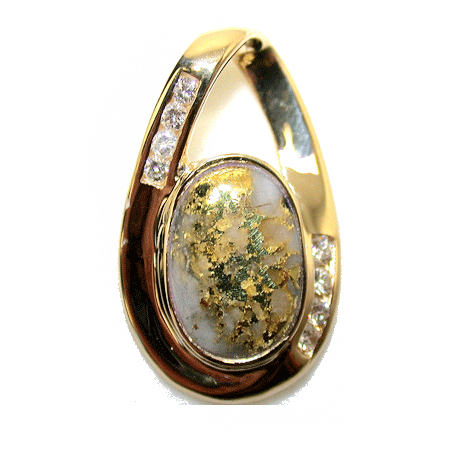 Three Diamonds, graduating in size, nestled in bezels, are accenting the Gold Bearing Quartz.